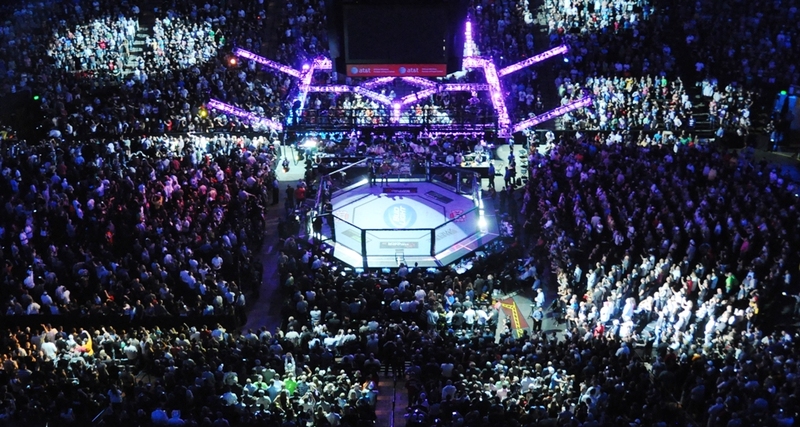 Superior Challenge has become a prominent fixture within the European regional MMA scene. The promotion has featured a strong roster of prospects and veterans on its recent shows, and it will keep the trend going with its 12th event. UFC veterans David Bielkheden and Cody McKenzie clash in one of the evening’s co-headliner and Lina Akhtar Lansberg and Alexandra Buch battle for the women’s bantamweight title, but the most intriguing fight, a light heavyweight title tilt between champion Joachim Christensen and challenger Max Nunes, takes top billing. 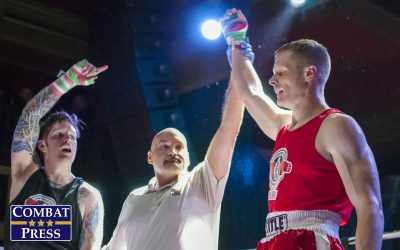 Christensen claimed the 205-pound title in his last outing, which took place at Superior Challenge 10 approximately one year ago. He outworked Matti Makela for three rounds en route to the unanimous nod and the championship belt. 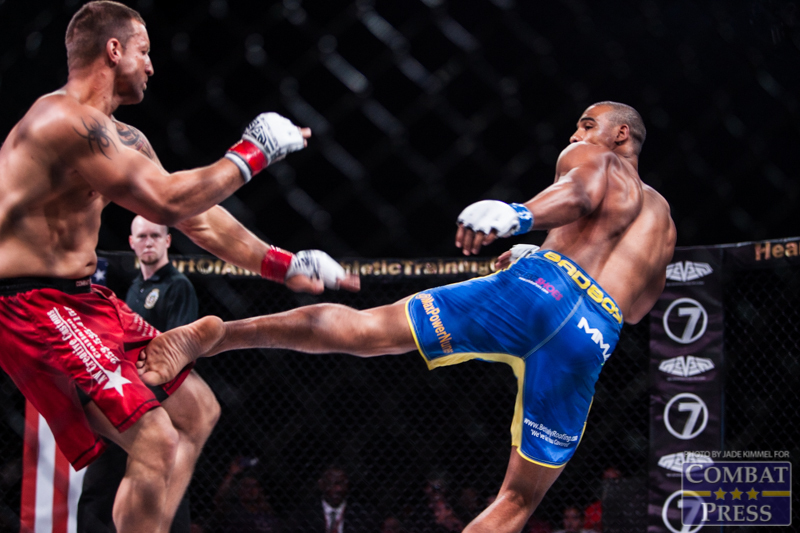 It came just two fights after Christensen fell just short against Marcus Vanttinen in his bid for the Cage light heavyweight crown. The Denmark native made a brief visit to the Allstars Training Center last year, but he typically hones his game at Brasa Copenhagen. He’s a difficult out — all of his losses came via decision — and a balanced finisher who has scored three victories via strikes and four by way of submission. His last five fights, which marked a step up in competition and include two of his losses, have all gone the distance. Christensen has a background in submission wrestling and Brazilian Jiu-Jitsu. Nunes, who debuted in 2010, reeled off 11 wins to begin his pro career. In 2013, he suffered his first defeat courtesy of an arm-triangle choke submission from Jason Jones. 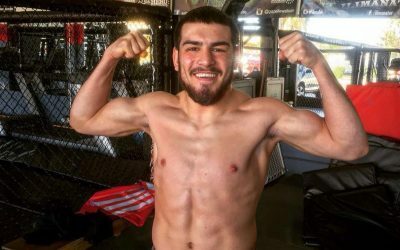 Nunes, who is affiliated with the Allstars Training Center but also trains alongside UFC veteran Nick Osipczak at New Wave Academy MMA, rebounded with two victories, but he endured another setback in June when he fell via third-round TKO against Scott Askham. The 25-year-old has bounced back with two recent victories, including a TKO finish of Rene Wollinger in March. He has put up a balanced record featuring eight wins by some form of knockout and five by way of submission. 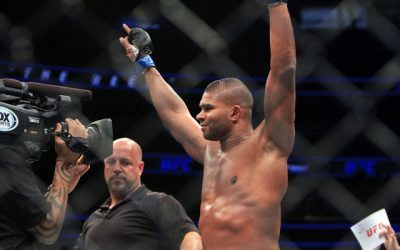 When he was undefeated, the former light heavyweight was drawing comparisons to reigning UFC champion Jon Jones for athletic ability that allowed him to win fights even though he lacked a refined skill set. 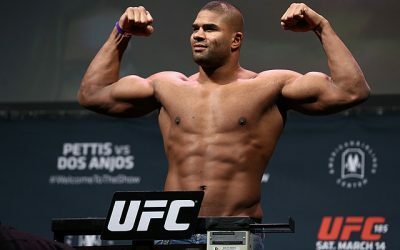 This will be his first fight back at light heavyweight since he suffered his first career loss in 2013. Title fights have not been kind to Nunes. Under the BAMMA banner, the prospect competed for the light heavyweight crown against Jones and suffered his first loss. 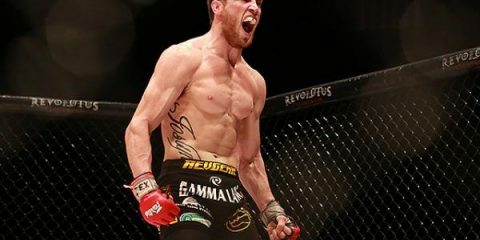 Nine months and two wins later, he entered the cage against Askham for a middleweight title fight and lost again. Eliminate those two title fights and Nunes would have a perfect record. There’s still a big question mark lingering about his ability to get over the hump when there’s gold on the line. Christensen hasn’t been free and clear of setbacks either. The champ suffered a loss in 2010 to prospect Juha Saarinen, a defeat in 2012 against Maxim Grishin under the M-1 Challenge banner and the 2013 loss to Vanttinen. He opened 2014 on a more promising note when he defeated Stephan Puetz, a previously undefeated fighter, to prove that he could take a step up in competition and continue to find success. The champion won’t be bullied around by Nunes. In fact, it’s Christensen who might do the bullying. He’s not very technical on his feet, but he can hang with opponents and score knockdowns. He’s strong in the clinch and can muscle opponents to the mat, where he’s a smothering presence. Christensen has smooth transitions to submission attempts and excellent top control. He’s not afraid to unleash with a barrage of strikes from the top either. Nunes is a solid prospect who makes for a significant challenge for Christensen, but Christensen has all the skills necessary to hand Nunes a loss regardless of where the fight goes. 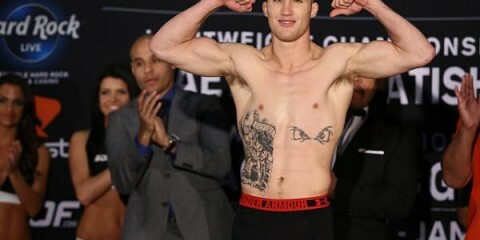 Christensen will control where the fight takes place and wear down his opponent. He hasn’t been as effective lately with finding the finish, but that could change here. He’ll come away with a submission in the middle rounds. The spotlight shifts to Brazil this weekend, where two smaller promotions make waves with significant fights. 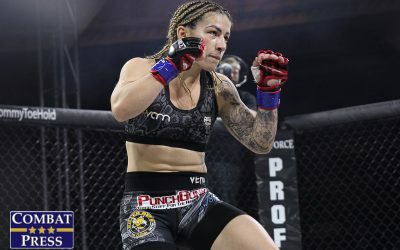 The first of these shows, Brabos Combat, features primarily just fledgling talent, but the lineup is topped by a women’s bantamweight title affair featuring veterans Elaine Albuquerque and Rosy Duarte. Albuquerque made her professional debut in July 2012. “Pantera” won her debut via TKO, but was then faced with a tough challenge in the form of current UFC bantamweight contender Bethe Correia. Albuquerque went the distance with Correia, but dropped the unanimous decision. She recovered with five straight wins. The 29-year-old’s streak ended when she was knocked out in the second round by Josiane Nunes, a fighter who now stands at just 1-1 through two pro fights. Albuquerque rebounded with a win, but then ran into Aline Serio, who handed her a defeat via unanimous decision. Albuquerque bounced back with two victories, including a five-round decision win over Carina Damm. However, she fell victim to another setback in her most recent bout when she dropped a decision to Jennifer Maia. Albuquerque has finished four of her opponents by way of strikes, but she has a good sprawl and can be sneaky in setting up submissions. Many of her wins have come against adversaries who have failed to win a single pro fight, but her victories over Karine Silva and the aforementioned Damm prove that Albuquerque can top skilled fighters. The 34-year-old Duarte made her pro debut in 2008 and suffered a loss. She didn’t return to action until 2012, but the hiatus proved beneficial to her career. When she returned, she won three straight via TKO and posted just one additional loss through eight fights. Duarte, like Albuquerque, has feasted mostly on debuting pros and fighters with losing records. Her only loss since her 2012 return came against Viviane Pereira, the best opponent she has encountered in her nine-fight career. Duarte is a finisher. 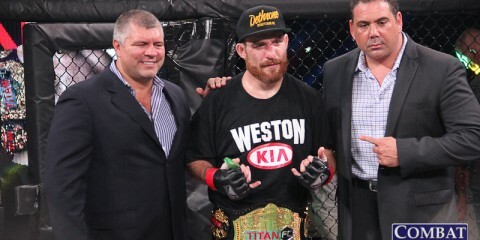 The Essencial Team product has five wins via strikes and one by way of submission. Albuquerque impressed by hanging for three rounds with Serio, a fighter who can overwhelm opponents with her striking flurries. She even took some big shots to the chin and survived. However, the veteran has floundered against much of the better competition she has faced. Whether Duarte qualifies in that same category is questionable, though. Duarte, who will be the shorter fighter, has to overcome a reach advantage on the feet. Her best option may be to seek the takedown at every opportunity. Albuquerque can use her range to her advantage and should be able to stuff Duarte’s takedowns. This fight could have a little bit of everything, but it won’t end in a finish. Instead, it’ll go the distance, with Albuquerque doing just enough to edge Duarte on the scorecards. It’s rare that a fighter can amass 29 pro fights with no losses and yet remain on the regional circuit. 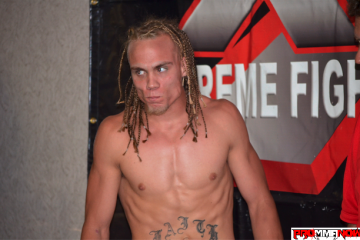 Noxii Combat will feature one of this rare breed of fighters in its inaugural event. The fighter is Luis Rafael Laurentino, who fights Derinaldo Guerra da Silva on the undercard of an event that features three title bouts. Laurentino may have 29 fights under his belt, but he’s no aging veteran. Instead, he’s a 22-year-old Astra Fight Team product who debuted in 2012 and fought 21 times in the 2013 calendar year. The featherweight has only seen the scorecards on three occasions. 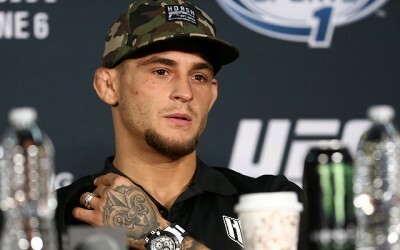 He has finished 26 fights, including 18 via submission and eight by way of strikes while bouncing between the bantamweight and featherweight divisions. “Japa” is most comfortable on the mat and will even pull guard. 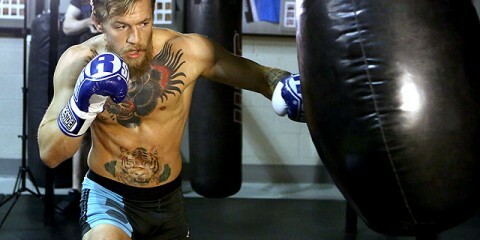 He’s an aggressive fighter who hunts for finishes. The 35-year-old da Silva hasn’t seen quite as much action as his much younger foe, but he has won 17 of his 20 outings. He went 16-1 after making his pro debut in 2007, but he has now lost two of his last three. The recent losses came to quality opposition, however, and he avenged his first career loss with a pair of wins against the same opponent. The Base MMA Club product is a striker who has scored nine wins by some form of knockout. He has just two submission victories. Laurentino will seek to avoid engaging da Silva on the feet, where the older fighter could land a knockout blow. The undefeated prospect will shoot for takedowns or, if necessary, pull guard to get the fight on the canvas. “Japa’s” aggression will be the key factor to securing him the victory. Perhaps once he’s 30-0, one of the big shows will come calling.